InBrace is the next generation of invisible orthodontic treatment. The InBrace treatment process starts with your free initial consultation. If Dr Chong determines you are a suitable candidate for InBrace, our team will take a 3D scan of your teeth with our Itero Element Scanner in the comforts of our office. Dr Chong will review your scan and plan your tooth movements accordingly. The InBrace technology is designed with convenience and invisibility in mind. With the collaboration between orthodontists and engineers, a SmartWire is fabricated to be used in conjunction with pre-positioned brackets on the back of your teeth. 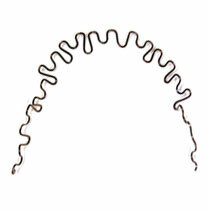 These brackets are smaller and less bulky then traditional metal braces. 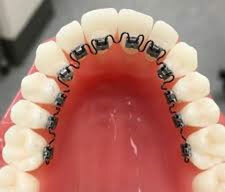 The curvature of the wires allow for optimal hygiene throughout orthodontic treatment. Dr Chong is proud to be a certified InBrace Provider. Schedule your free consultation today to find out if InBrace is right for you!